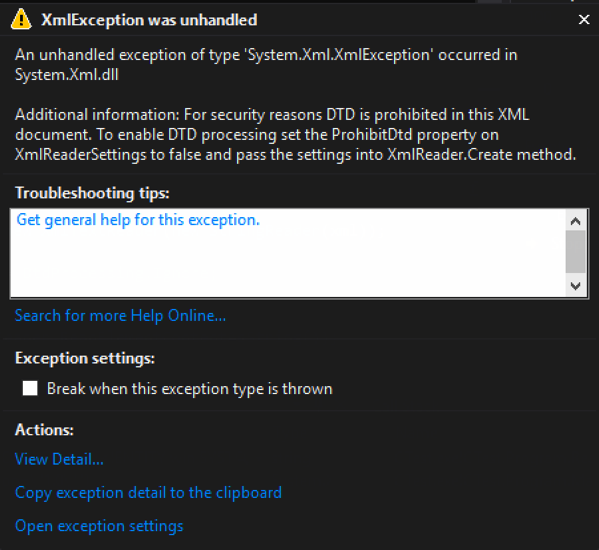 XXE, or XML External Entity, is an attack against applications that parse XML. It occurs when XML input contains a reference to an external entity that it wasn’t expected to have access to. 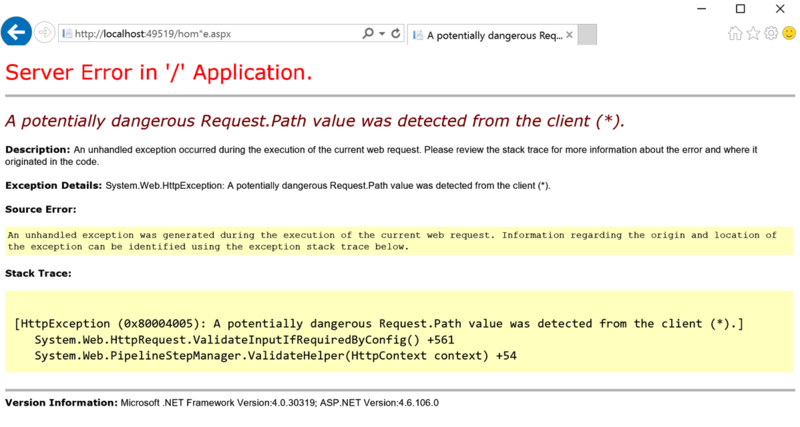 Through this article, I will discuss how .Net handles XML for certain objects and how to properly configure these objects to block XXE attacks. It is important to understand that the different versions of the .Net framework handle this differently. I will cover the XPathDocument object in this article. For details regarding XmlReader, XmlTextReader, and XmlDocument check out my original XXE and .Net article. This article uses 2 files to demonstrate XXE which are described next. There are multiple ways to instantiate an XPathDocument object to parse XML. Lets take a look at a few of these methods. In .Net 4.5.2 and 4.6, this same call has been modified to be safe by default. 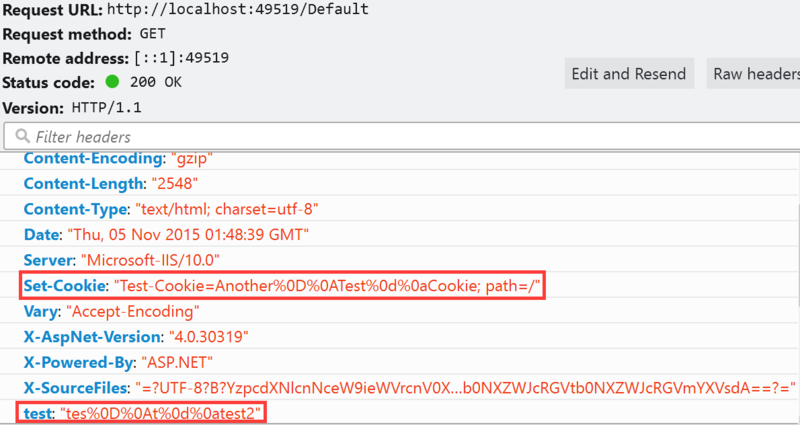 The following image shows the same code targeting 4.5.2 and notice that the output no longer returns the test data. 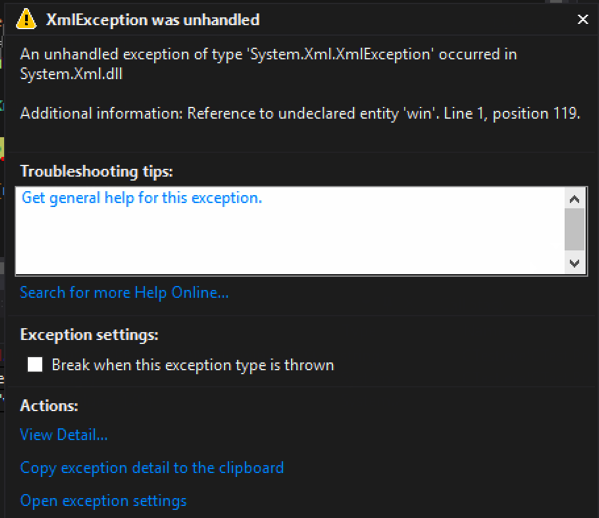 In .Net 4.5.2 and 4.6, this same call has been modified to be safe by default. 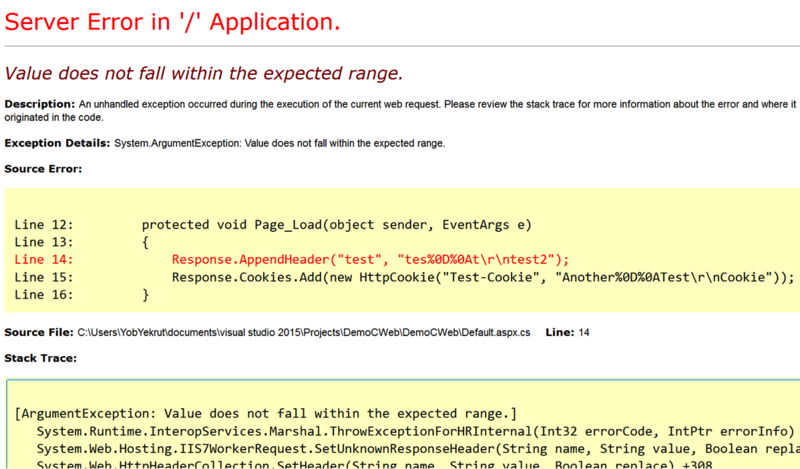 The following image shows the output is no longer returning the test data. 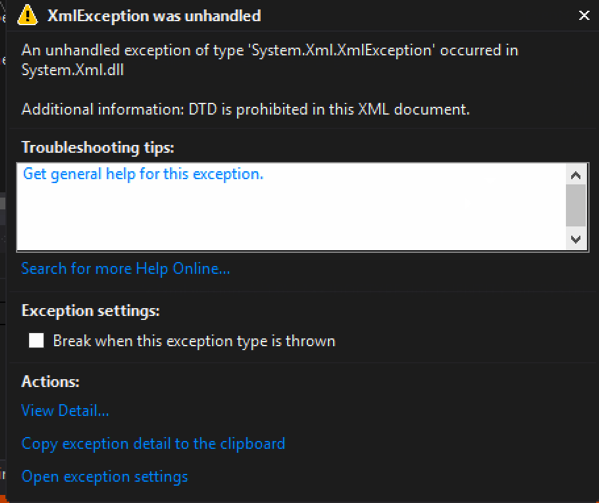 When executed, the reader defaults to not parsing DTDs and will throw an exception. 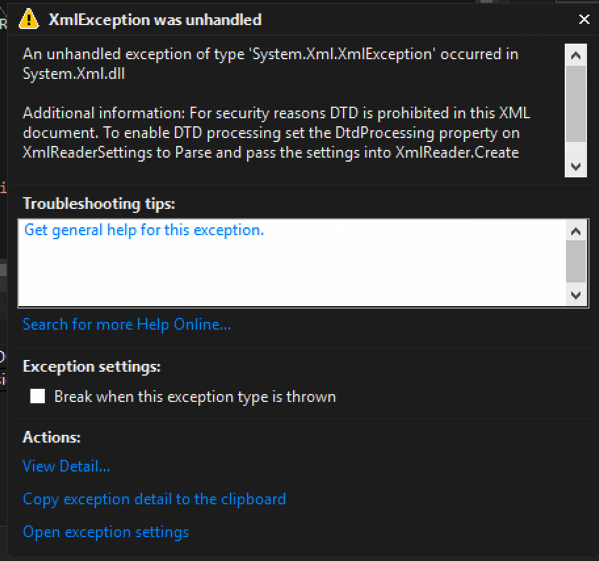 This can be modified by setting the XMlReaderSettings to allow DTD parsing. Looking at the examples above, it appears the safest route is to use the XmlReader to create the XPathDocument. The other two methods are insecure by default (in versions 4.5.1 and earlier) and I didn’t see any easy way to make them secure by the properties they had available.